Born: 16 February 1856, London, England. Died: 24 February 1928, Johannesburg, South Africa. Sidney (sometimes Sydney) H. Pearce trained as an assayer and chemist at Johnson & Sons, manufacturing chemists of London, and passed an examination as a metallurgist through study at the Polytechnic Institution, London. He came to the Witwatersrand in 1889 as chemist to the South African Metallurgical Company, but also practised as a public assayer. In 1891 he joined the Nigel Gold Mining Company as assayer, and later became its cyanide manager. After occupying various other posts on the Witwatersrand he was appointed in 1897 as assistant chemist and metallurgist, later assistant consulting metallurgist, for H. Eckstein & Co., a post he retained for at least 10 years. In 1892 he married Diana E.M. Minter, with whom he had two children. After their divorce in 1908 he married Jane S. Peck. Pearce was a member of the Institution of Mining and Metallurgy (London) and of the (British) Society for Chemical Industry. 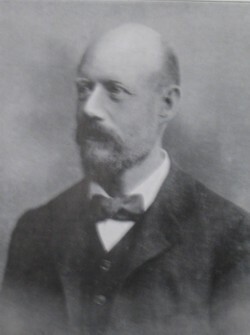 In April 1894 he became a foundation member, and later a life member, of the Chemical and Metallurgical Society of South Africa. He served on its first council (1894/5), then as honorary secretary (1895/6), as vice-president (1896/7), as an ordinary member of council again (1897-1903), and as president for 1903/4. The papers that he read before the society and that were published in either its Proceedings or Journal included "Some notes on mine surface sampling" (Proceedings, August 1899, Vol. 2, pp. 750-762); "Presidential address" (Journal, July 1903, Vol. 4, pp. 4-8); and "Computation of the crushing efficiency of tube mills" (with W.A. Caldecott*, Journal, 1906/7, Vol 7, pp. 72-). As a co-author with J.G. Bousquet* and others, Pearce participated in writing a monograph, La cyanuration au Transvaal (Cyaniding in the Transvaal) for the Universal Exhibition of 1900 held in Paris by the Congress international des mines et de m?tallurgy. He was an examiner in treatment of minerals for the final mining examinations of the University of the Cape of Good Hope from 1902 to 1905. By 1903 he was a member of the South African Association for the Advancement of Science and at the joint meeting of the British and South African Associations, held in South Africa in 1905, read "Notes on economic problems in metallurgy on the Witwatersrand". The paper was included in the Addresses and papers... (Vol. 1, pp. 175-183) published after the meeting. In 1919 he represented the local branch of the Institution of Mining and Metallurgy (London) on a joint committee of technical societies, created to establish greater cooperation between the various scientific and technical societies of South Africa. He served also on the society's constitution sub-committee. The work of the joint committee led to the founding of the Associated Scientific and Technical Societies of South Africa the next year. Chemical, Metallurgical and Mining Society of South Africa. Proceedings, 1902-1903, Vol. 3; Journal, 1903-1907, Vol. 3-7. National Archives Repository (TAB), Source MHG, Vol. 0, Ref. 65396: death notice, Sidney Herbert Pearce. National Automated Archival Information Retrieval System (NAAIRS). . Documents relating to Pearce, Sidney Herbert. University of the Cape of Good Hope. Calendar, 1902/3-1906/7.